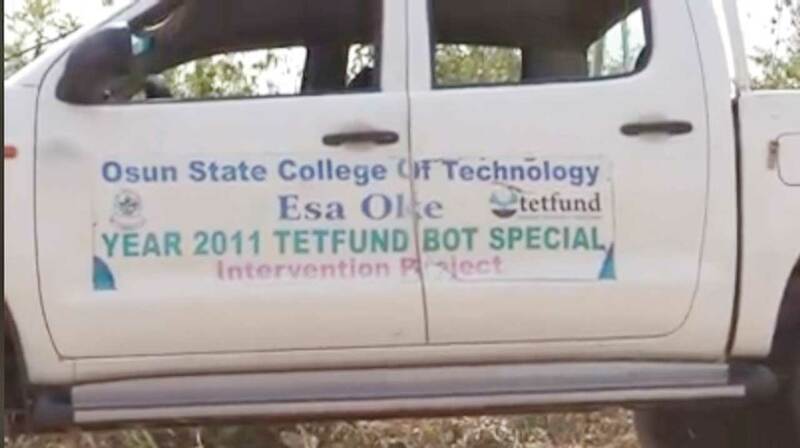 The gloom of the killing and abduction of workers and students of the Osun State College of Technology (OSCOTECH), Esa-Oke on Tuesday evening is a tragedy that has cast a shadow on the college. While the college community await with bated breath for positive news on those abducted, the killing of the college’s employee by kidnappers, Dr. Emmanuel Olaniyi has also thrown the Faculty of Education of the Obafemi Awolowo University (OAU), Ile-Ife into mourning. The deceased was one of its graduating doctoral degree students for next week’s convocation programme. Olaniyi, who graduated from the institution in 2015/2016 session, was according to colleagues described as a committed and dedicated student throughout his period in the university. Speaking with newsmen on the killing of the deceased, the Head of Department of the faculty, Dr. Yemi Adediwura, described his death as a big blow to the faculty and prayed to God to give the affected family the fortitude to bear the loss. He eulogised the deceased as a man with utmost determination for success, saying his assailants have committed a serious crime against humanity. “We sympathize with the affected family, the faculty of education, his department, educational management and the institution as a whole and we pray to God to give him eternal rest in the blossom of Christ. May the good Lord give the family the necessary fortitude to bear the irreparable loss,” Adediwura said. A classmate of the deceased, who simply identified himself as Hameed, said they both graduated from the department of educational management in 2015/2016 session, with their convocation slated for next week. He described Emmanuel as an easy-going and brilliant person who was free with everybody irrespective of age and social status. Speaking in the same vein, a former student of the College of Education, Ilesa, now a journalist in Osogbo, the Osun State capital, Sunday Oguntuyi, said the late Emmanuel was a self-made man, who gave in everything to attain such academic feat. “I know him way back at College of Education, Ilesa, where he worked as a photographer on campus. He was the toast of everybody then because of his jovial nature and sense of humour. He singlehandedly foot the bill of his education throughout the university with proceeds from his photography business before he eventually secured employment at OSCOTECH. He really struggled to survive and be educated; this is a pitiable end for such a pleasant and hardworking man,” he lamented. Meanwhile, the Aare Onakakanfo of Yorubaland, Chief Gani Adams, yesterday warned against infiltration of herdsmen into any part of Yorubaland, as he vowed to protect the area with the last drop of his blood. Reacting to killing and abduction of OSCOTECH workers by people suspected to be herdsmen, Adams, who spoke through the Osun State coordinator of Oodua Peoples Congress (OPC), Prince Adedeji Aladesawe, expressed resentment at the killing of innocent people for no cause. While condemning the killing and abduction, Adams said killings in the southwest by unknown gunmen is unacceptable to him, stressing that he will soon summon stakeholders meeting in his capacity as Aare Onakakanfo to discuss how such dastardly act can be prevented. On Tuesday evening, abductors stormed the country home of the late Chief Bola Ige in Esa-Oke, killed Olaniyi and abducted eight persons. Four of the abducted persons were released while the others are still missing.